/ Q4 ERCE Oil Price review is here! TAG Oil is happy to offer the ERC Equipoise Oil Price review to its followers, with ERCE’s consent. 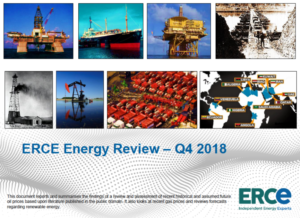 ERCE reviews historical, recent and current oil and gas prices, and looks at global macro indicators influencing trends. They also take in the views of other petroleum consultants and analysts. The report helps investors understand oil market fundamentals and trends, and gives a look into oil price assumptions.